Baby potato fry is a very quick and easy recipe. This can done by using normal potatoes. Just boil the normal potato and then slice into 2 or 4 piece depending upon the size of normal potato. Even mashed potatoes can be used. But I prefer to use the baby ones. These fries taste awesome taste. 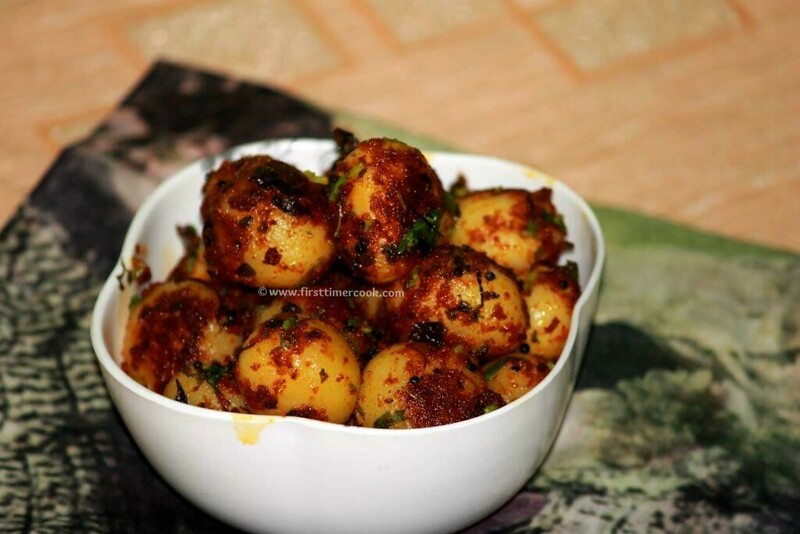 If you are not in a mood of cooking, then you can go with this simple baby potato fry dish. Also in kid's lunch box, these can be a best side dish with phulka. So below the detail method of preparation is mentioned. Boil the potatoes. Do not over cook the potatoes. Then peel the potatoes carefully. Take a bowl. Put peeled potatoes along with sambar powder, garam masala, cumin powder, kasoori methi, salt. Mix well and marinate this for 20-25 minutes. In a non stick pan, add oil and then put mustard seeds. Add in the marinated potatoes and fry for 10-15 minutes in medium flame. When it becomes golden fried, switch off the flame. Sprinkle chopped coriander leaves. Serve hot with any rice or roti ! ​Kasoori methi will also enhance the flavor. Rice flour can be added to give a crunchiness. Just add 2 tsp of rice flour to the boiled potato along with sambar powder, cumin powder etc. Do not add the rice flour more than the quantity mentioned. It will not taste good. Non stick pan is recommended, otherwise potatoes'll stick to pan while frying.